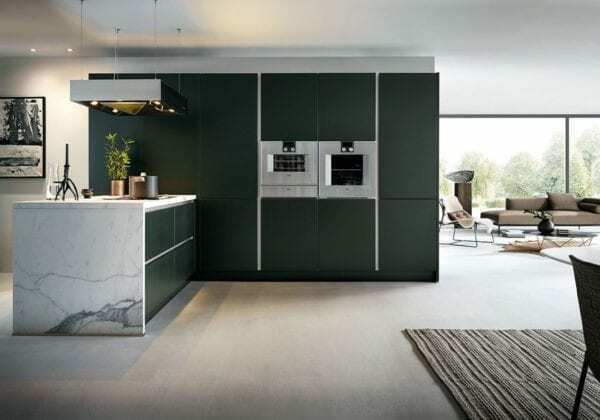 Jaguar green is a deep, dark, classic green satin lacquer from Schüller Next 125. 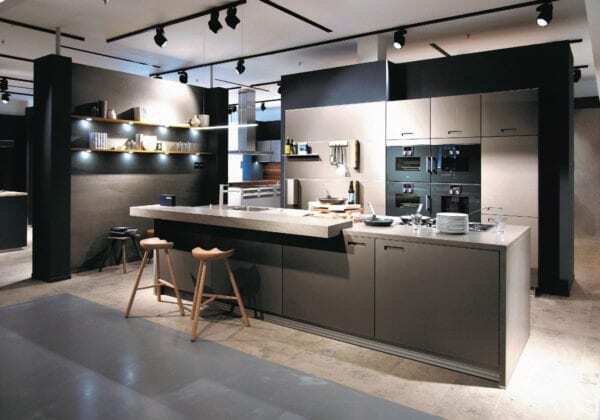 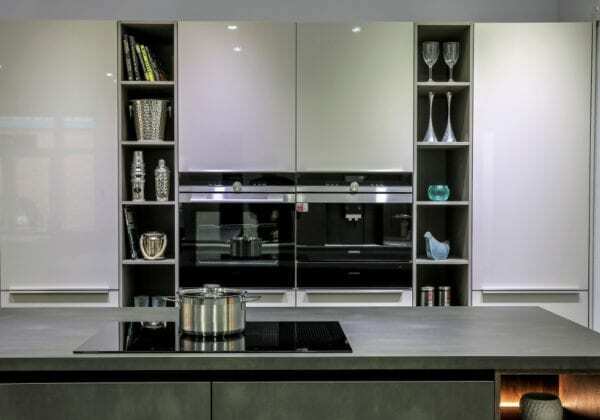 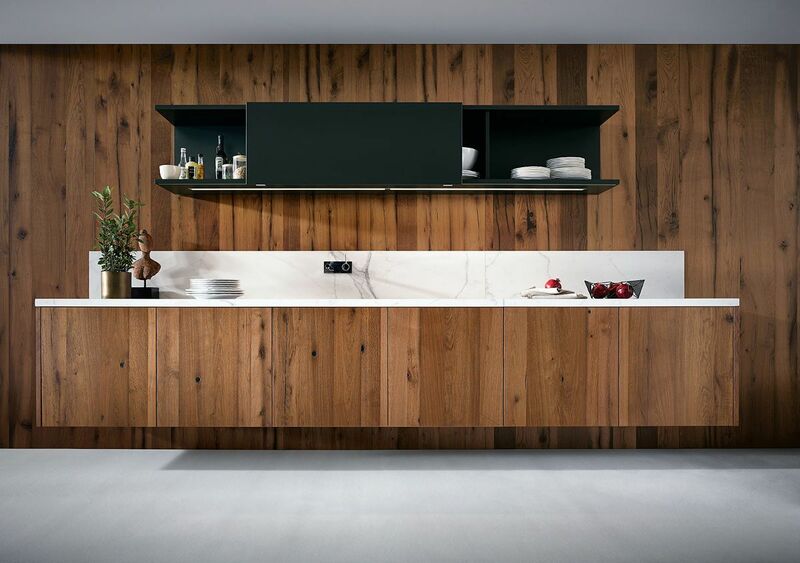 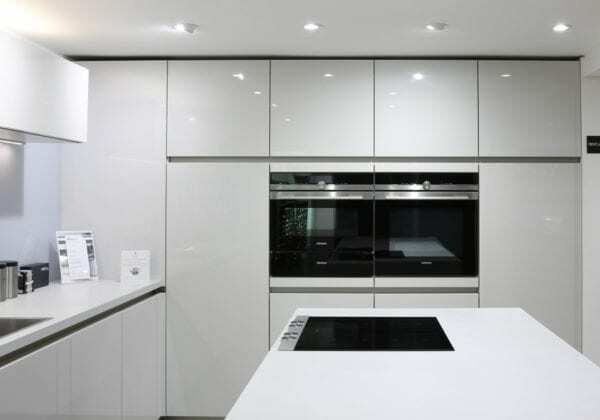 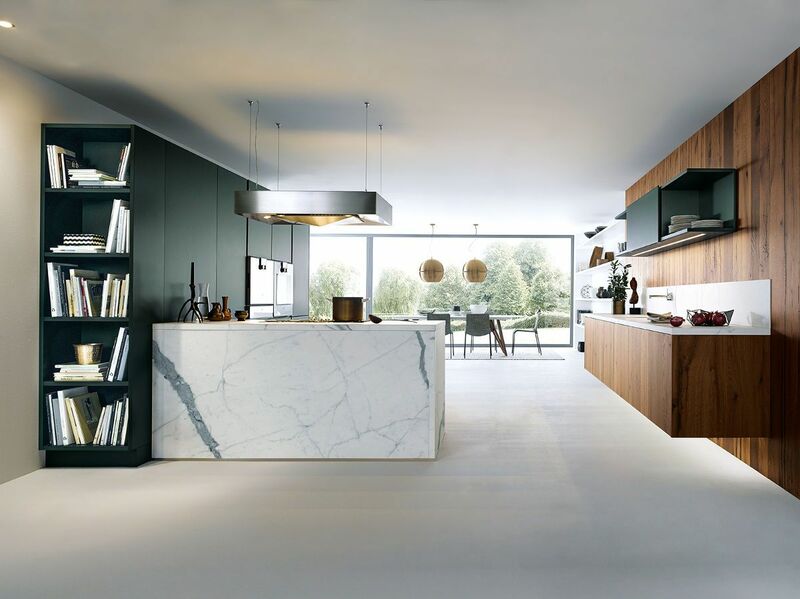 Jaguar green features the front and edges in satin lacquer with the back of the kitchen door melamine resin-coated, also with a satin lacquer. The images show it combined with old oak veneer made from centuries old oak sourced from old barns, roof trusses and floors – generally speaking, every single old oak front is a one-off.